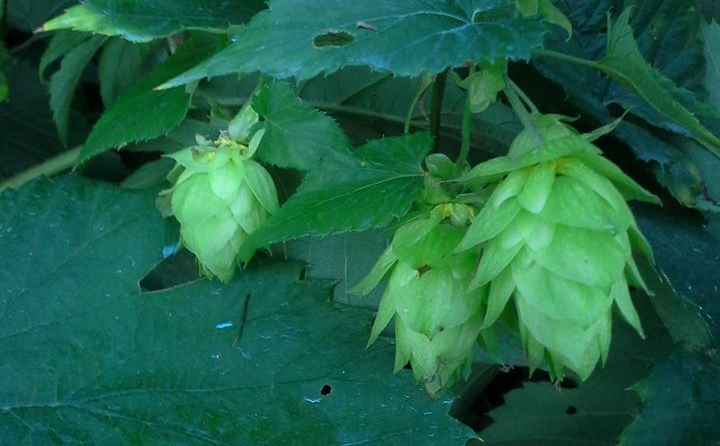 A forgotten hop variety is working its way back into the brewing world for two simple reasons: In research trials it has produced 4-5 times as much hops by weight as other varieties, and it grows well in areas outside the ideal 35-55-degree latitude lines. Canadian Red Vine can be traced back to some of the earliest hop yards in North America, including the first hop yard in the state of New York, which began in Madison County in the early 1800s. The variety, which is believed to be of North American origin, according to researchers familiar with the plant, is known for its vigor and high yields: the exact reason why the hop-hungry brewing industry is looking its way. Kelly Gaskill, a research assistant at North Carolina State University’s North Carolina Hops Project in Mills River, which was established in 2010, said that Canadian Red Vine bines yield 4-5 times as much fresh hops by weight as other varieties she has worked with, which include Nugget and Chinook. Gaskill and her research team have focused on targeting and emphasizing the plant’s vigor and high yields through breeding efforts. North Carolina is located at the lower cusp of the 35-55-degree latitude range ideal to hop growing, so the team’s results could be a promising revenue stream for local farmers who live in areas that have a difficult time with growing the bines. The plant does come with challenges, however. It has high levels of cohumulone, an alpha acid known to contribute a harsh bitterness to beer with flavors that have been described as cheesy, oniony and garlicky. Another issue with Canadian Red Vine: The bine tends to grow outward as much as it does upward, a trait not all hop growers care for in crop management, and it is susceptible to mildew. Bob Bero, a former agronomy major who worked in turf management and had a hobby of homebrewing and hop growing, was given Canadian Red Vine in the late 1980s by Norm Soine, a Syracuse-based microbrewer with the Syracuse Suds Factory who also kept a hop garden. Soine knew that the plants he gave Bero, other than a rhizome of British Gold, had come from New York’s first hop yard, but neither was aware that Canadian Red Vine was in the bunch. 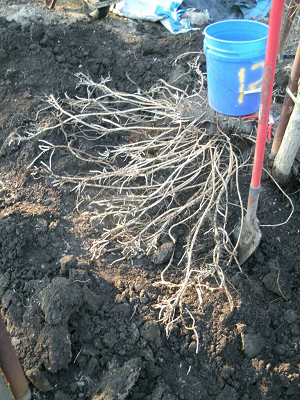 Haunold did an oil analysis of the plant and confirmed: It was Canadian Red Vine. Though the hop has still yet to become prominent in brewing, Gaskill’s team gave 14 pounds of its fresh Canadian Red Vine hops to Sierra Nevada Brewing Co. in Fletcher, North Carolina, which is just across the French Broad River from the research hop yard. The brewery made 20 barrels of a blond ale that used Bravo hops for initial bittering, then incorporated Canadian Red Vine hops toward the end to accentuate their flavor. Sierra Nevada is looking forward to working more with the variety. Is it a bittering hop, and what’s the typical AA% ? It appears we have some in our hops field. We’ll send some to the lab next year to identify if this is true. Would love to have some rizones for my hop field here in upstate New York. See how they handle the cold weather. If you really want some I can send you some. been growing them in Ottawa for three years now, just a home patch and my space is small enough that I gave away about two dozen rhizomes this past spring to anyone who would entertain the idea.